Welcome to Ashley Junior School library page. We have a wide range of books; fiction and non-fiction, covering a wide range of interest and reading abilities. Classes have a weekly session in the library. Please make your child brings in their books so that they can be exchanged regularly for new ones. On Wednesday 8.30 -9.00 we have a special time for parents/carers to visit the library together with their children either to borrow books or to browse through and read. Children can borrow 2 books at a time. Each book can be borrowed for a maximum of 14 days. We can renew books if you wish. We do encourage the children to change their books every week to develop good library habits. We send out reminders for overdue library books once a term. At the end of the summer term we ask that all of our library books are returned to the school. If you receive an overdue reminder and you think your child has lost their book we would ask you for a £5 contribution towards the cost of replacing the book. 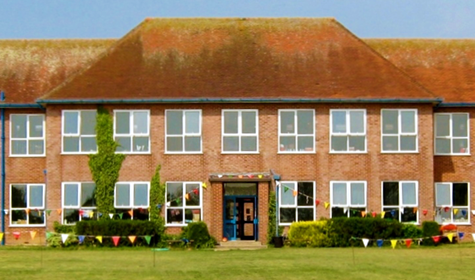 We hope your children will have many enjoyable years of reading at Ashley Junior School.